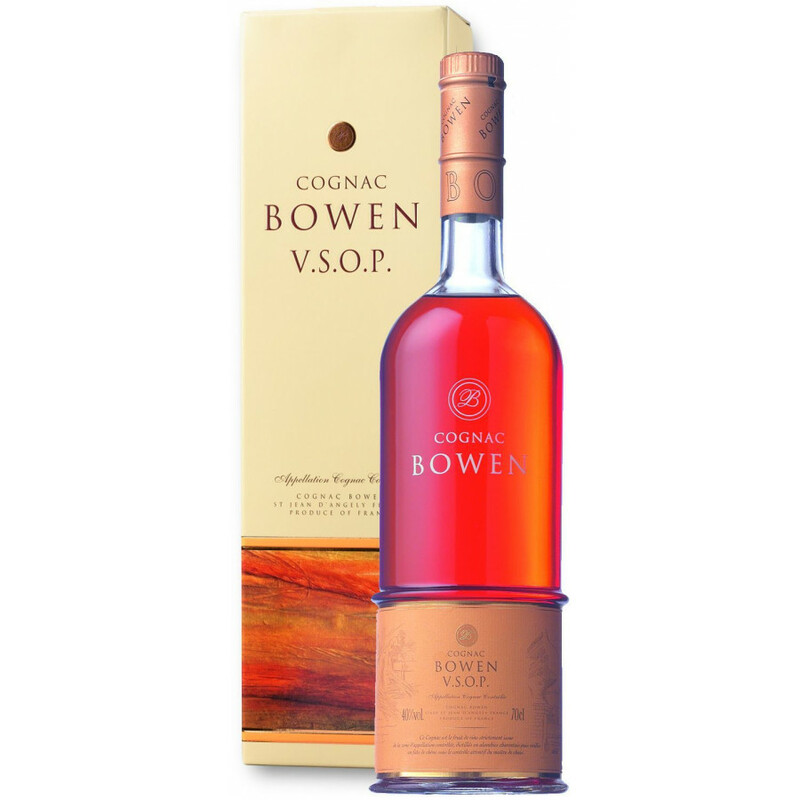 Bowen VSOP Cognac is a solid cognac, aged for a minimum of four years. It is a blend of Fins Bois, the Grande and Petite Champagne and the Borderies growing areas. Bowen Cognac has a romantic backstory, coming into being through a man’s love for a woman combined with all the excitement of travel and intrigue. Known as much for their miniature sized cognac bottles as the regular, Bowen produces a range of different qualities, including an interesting ‘Pale Cognac’ specifically produced to be mixed with tonic or savoured on the rocks. Very soft and rich flavor. The best in VSOP.